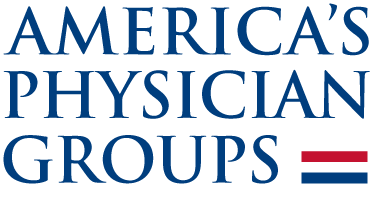 Thank you for considering a America's Physician Groups Annual Conference Sponsorship. These selections can be made individually or bundled with a major sponsorship and include the listed benefits. Please review the sponsorship details below or download the brochure for complete event information. For questions, contact Cassandra Perkins at cperkins@apg.org, or call 213.239.5040. To reserve your sponsorship opportunity, use the Select Sponsorship button then complete the registration process. We gratefully acknowledge our sponsors and their contributions. To view an up-to-date list of sponsors, please visit the sponsor site. Major health plans are asked to register as an Elite or Diamond sponsor only. Advertisement Opportunity--Looking for ways to further promote your product or services? Consider advertising in the Journal of America's Physician Groups magazine special Conference edition. Please click here for more information. Please sign up by December 31, 2018 to take advantage of the additional benefits listed below for your sponsorship level. APG is offering special benefits for supporting both our Annual Conference and Colloquium in 2019. Both conferences offer exceptional visibility and access to key healthcare decision makers. Dual sponsorship offers are available through March 7, 2019. Both events must be paid for simultaneously and are non-refundable after March 7, 2019. Please note that the Colloquium sponsorship policy allows APG to accept health plans as exhibitors only. Opportunity to host a premier social networking event. This option is available exclusively to Elite, Diamond, Platinum, and Gold sponsors and must be approved by America's Physician Groups. Please contact Lura Hawkins at 213.239.5046 for details. The Conference issue will be distributed to approximately 1,800-plus attendees in addition to more than 7,000 regular subscribers and 10,000+ e-subscribers. APG Members, Partners, and Sponsors receive discounted rates. Contact Valerie Okunami at 916.761.1853 or by email at journalofapg@gmail.com. Submission deadline is Friday, February 15, 2019.